The 25th moved to Korea within hours after the North invaded the South on June 25, 1950. 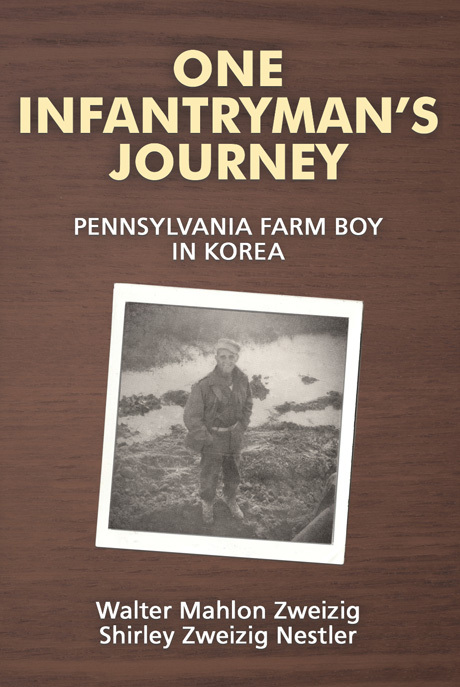 All combat units of the 8th Army arrived in Korea within those first thirty days. Only a handful of officers and enlisted men were veterans of World War II and well-trained for combat. The rest of us were mediocre at best. Most felt there would not be another war. After all, we had the bomb. Everyone knew of its destructive capability. Who would dare to confront a country with such potential? Shirley Zweizig Nestler, cousin of Walter M., received her undergraduate degree in Business Ad/Marketing from Albright College and Masters in Creative Writing from Vermont College of Norwich University. Hobbies are: riding, hiking, skiing, traveling, Contemporary Christian concerts, singing, reading, and writing. She lives out retirement from a corporate public relations career on her animal rescue farm near Hamburg, PA and operates a small boarding kennel in her spare time.